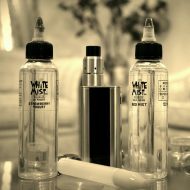 E-liquid Deals & Combos | White Mist Co.
Get your desired flavor in a large 120 ml PVC eliquid bottle and take advantage of our bulk pricing. 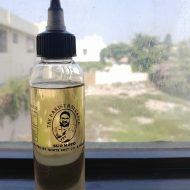 Get your desired flavor in a large 120 ml TPV eliquid bottle and take advantage of our bulk pricing. 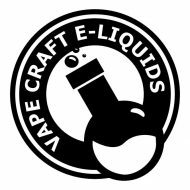 Get your desired flavor in a large 120 ml Vape Craft eliquid bottle and take advantage of our bulk pricing. 3 flavors x 10 ml each on our sample pack. 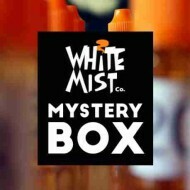 This is a great way to try multiple flavors from the wide range of eliquid flavor options available with White Mist. Flavors can now be selected from any of our line ups. Note 1: All “Tobacco” flavors on the sample pack are only available in 50/50 ratio. Only exceptions are Peach Tobacco and WMRY4. 5 flavors x 10 ml each on our sample pack. 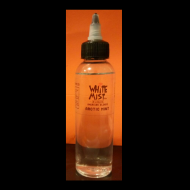 This is a great way to try multiple flavors from the wide range of eliquid flavor options available with White Mist. Flavors can now be selected from any of our line ups. The “Fantastic 4” is a specialized package deal for those looking to grab their favorite White Mist Co. American Blend e-liquids in larger quantities. The “Fantastic 4” package offers 4 x 30 ml bottles of your selected flavors and desired nicotine strength and PG/VG ratio. Note 1: We do not offer Max VG in 18 mg. 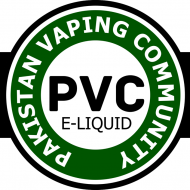 If selected, it will be replaced with 50 PG/50 VG in 18 mg.
3 flavors x 10 ml each from Vape Craft. This is a great way to try multiple flavors from the wide range of eliquid flavor options available with White Mist. Note 1: All “Tobacco” flavors on the sample pack are only available in 50/50 ratio. 5 flavors x 10 ml each from Vape Craft. This is a great way to try multiple flavors from the wide range of eliquid flavor options available with White Mist. 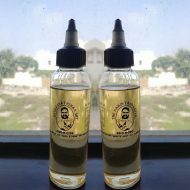 The “Fantastic 4” is a specialized package deal for those looking to grab their favorite White Mist Co. Vape Craft e-liquids in larger quantities. The “Fantastic 4” package offers 4 x 30 ml bottles of your selected flavors and desired nicotine strength and PG/VG ratio.